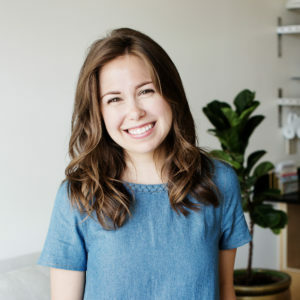 As I’m shifting things around in my home this time of year, I often like to incorporate mirrors to combat the shorter days and dwindling daylight. 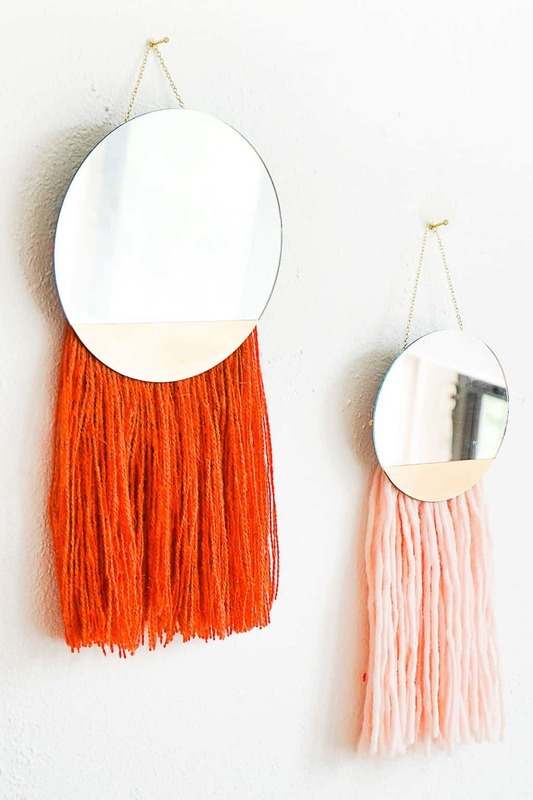 Mirrors are great for bouncing light around the room, adding a little reflective sparkle, and even making the room feel a little more spacious. 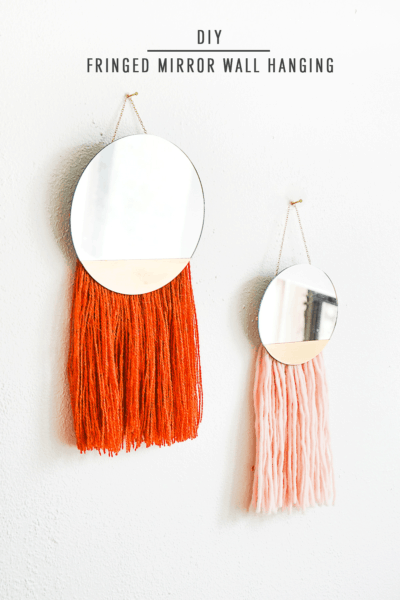 I ,Erin, am so excited to be sharing this DIY fringed mirror wall hanging today. 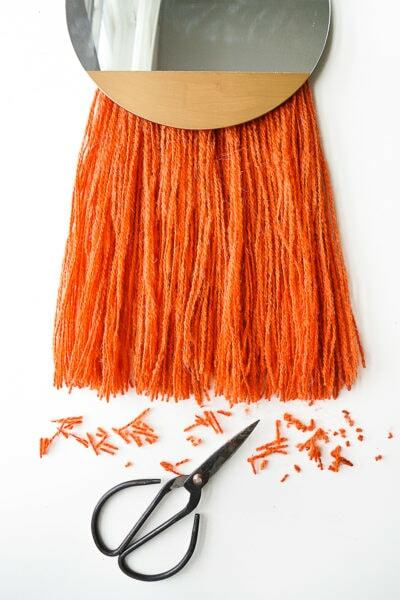 It incorporates a touch of metallic gold and a good dose of fringe texture for visual interest. 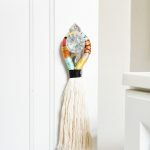 Hang it by the back door for a little spot to check in before dashing out the door, or in tandem with a gallery wall in the living room. Either way, it’ll do double duty in form and function! 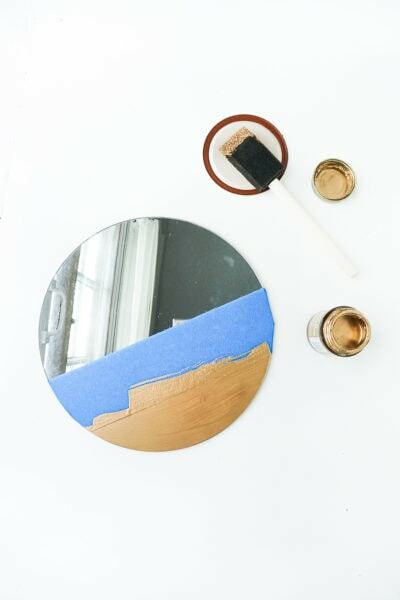 Use painter’s tape to section off a small area at the bottom of the mirror, and paint the sectioned area with metallic gold paint. Set aside to dry. 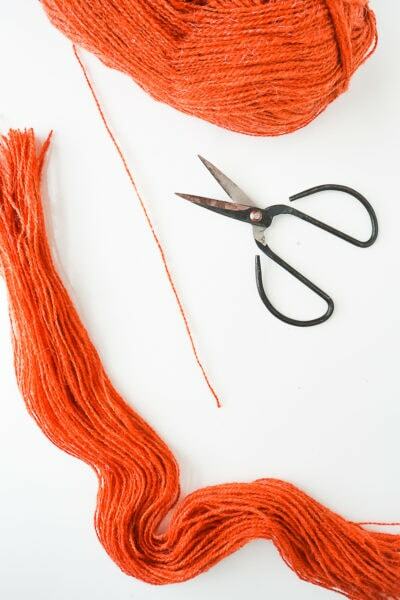 Cut 160 pieces of yarn at 23” long and bundle them into 4 groups. Fold each bundle in half lengthwise. 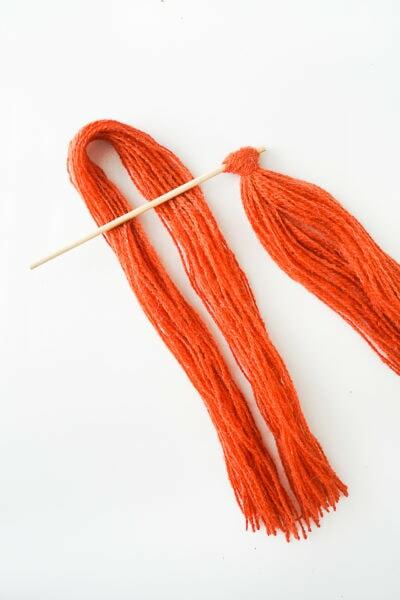 Wrap the cut ends of the yarn around the wooden skewer and feed them through the yarn loop. Pull tightly around the wooden skewer. 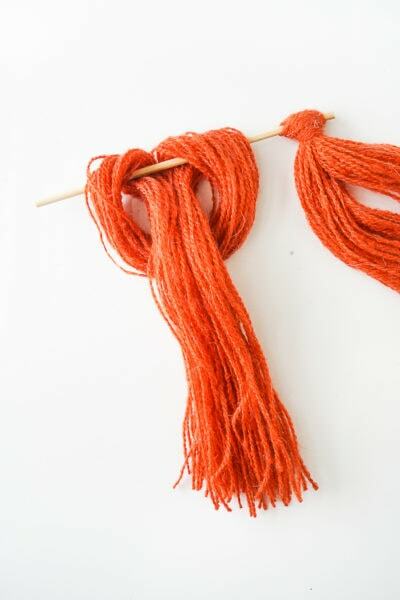 Repeat with remaining 3 yarn bundles. 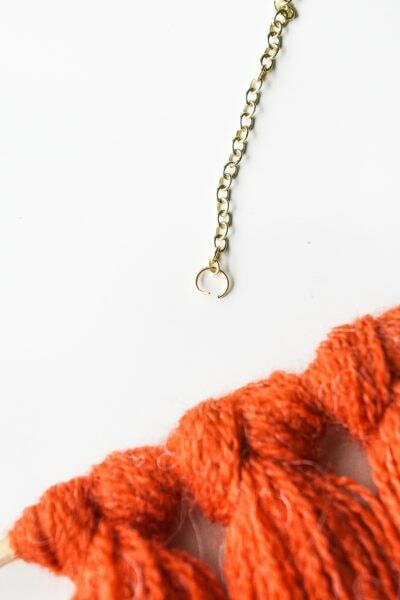 Attach a jump ring to each end of the metal chain, and wrap the jump ring around each end of the wood skewer. Form the moldable adhesive into two ovals, even in size. Lay the mirror face down on a piece of fabric to prevent scratches to the mirror and gold paint. Attach moldable adhesive pieces to each end of the wood skewer and press onto the backside of the mirror. Allow the moldable glue to cure for 24 hours before hanging the mirror. 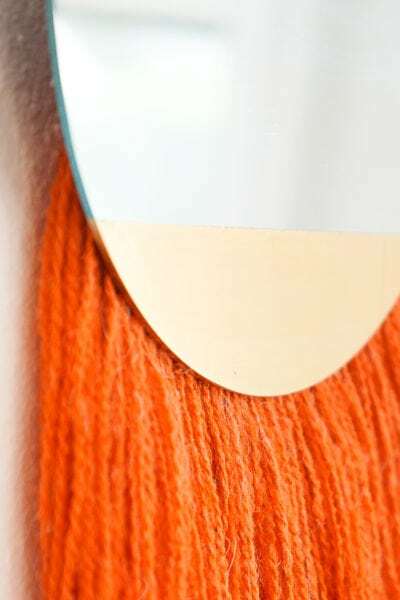 Once the adhesive is cured, flip the mirror over and give the yarn a haircut to create a uniform length. Hang and enjoy! 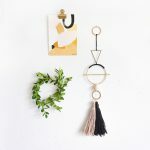 I seriously can’t get enough of the wall hang trend (see here and here)! 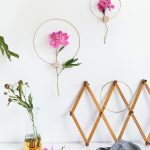 It’s basically a fun arts and crafts project that looks like it came straight out of an Anthropologie catalog! 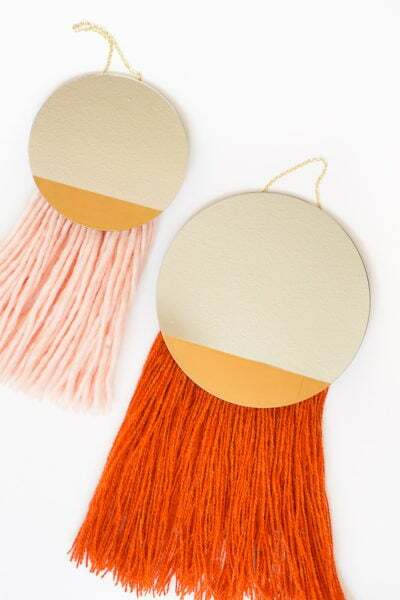 I love how these add both light and a fun pop of color to any space! 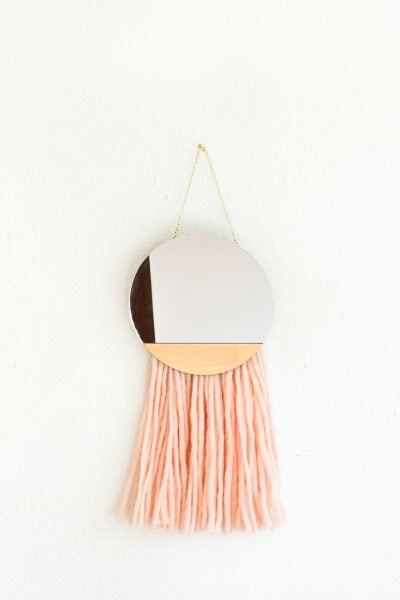 It’s always so much fun getting to play with all the seasons’ decor trends and this DIY fringed mirror wall hanging turned out to be a favorite! 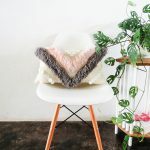 Do you have any favorite decor trends you’re loving this Fall? 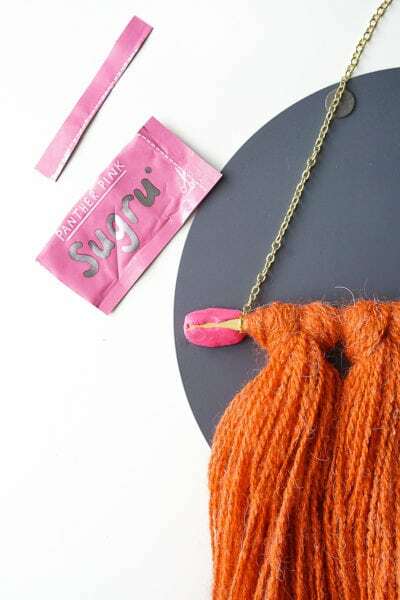 So cute–and I love Sugru! 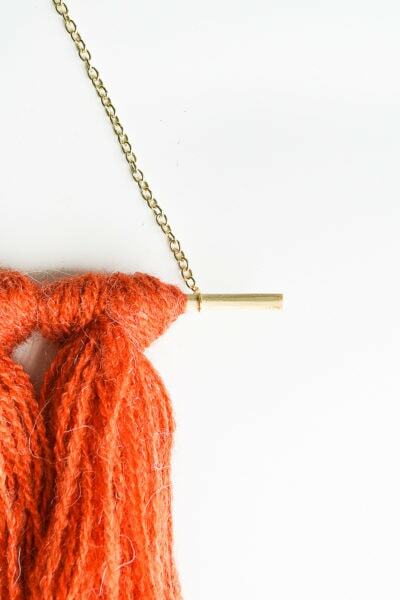 The things you can do with yarn! They turned out amazing!